The Evans Commons mess hall stopped using re-usable plates last semester. 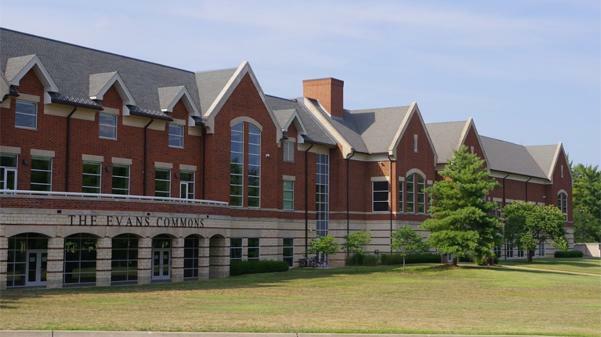 A petition to bring back reusable dishes and utensils in the Evans Commons has gathered more than 750 signatures. Evans started using disposable materials last fall, but after Winter Break, Annika Teschke, a student from Germany, started the Change.org petition to return to the reusable dining ware. The petition also asks Lindenwood to consider using reusable dinnerware campus-wide. Director of Dining Services Nancy Tinker said reusable silverware and plates had to be replaced often when they were thrown out, broken or taken, and there was difficulty finding enough workers to wash them. Evans now uses biodegradable plates and bowls and compostable straws, which Tinker said is better than using dishes that have to be washed using heated water and soap. A poster in the Spellmann Center advertising the petition, which was promoted by satirical Instagram account Lindenwood Tree and Wheel Club. According to the manufacturer, the new plates decompose in 90 days, Tinker said. Because of this, she said it doesn’t matter that they are thrown in the trash. However, according to the supplier of Lindenwood’s green dinnerware, the products will not decompose optimally unless in a compost heap. Jenn DeRose, program manager for the Green Dining Alliance, a St. Louis restaurant sustainability nonprofit, said “reusables are always more sustainable” because of the ecological impact of producing, packaging, shipping and disposing of single-use materials. “While it takes water and energy to wash reusables, they are a more sustainable alternative,” DeRose said. Tinker said getting rid of reusable dishware was not a cost-cutting effort. “The biodegradable products that we first got at the beginning of the semester were more expensive than the ones that we have now[…]so we were actually paying more in the fall semester for this product than the china and glassware service,” she said. Lindenwood’s disposable cups and silverware are not biodegradable or compostable yet. However, Tinker said she hopes to improve sustainability through plans such as issuing incoming students a reusable cup to use for beverages on campus. Published April 7, 2015, 2:15 p.m.
A lot of girls dream about being a model some day, but only few think that they actually have what it takes. 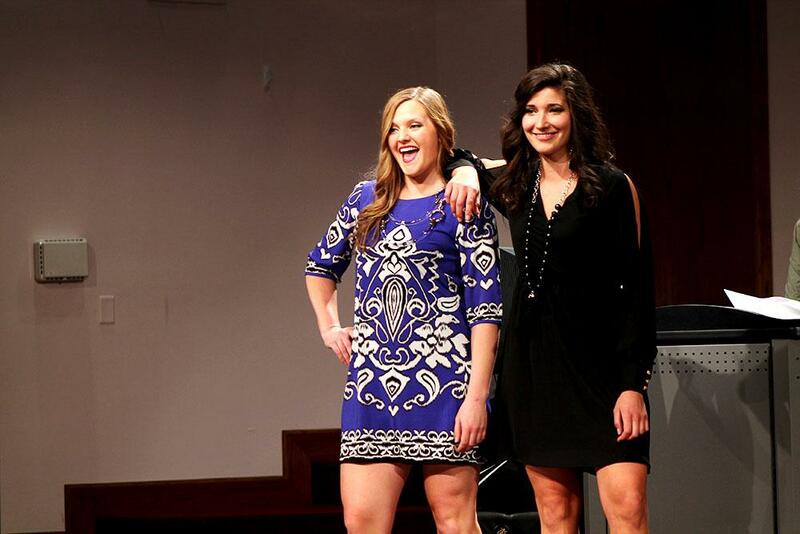 The women of LU’s women’s basketball team proved that mindset wrong when they bravely took the stage at the Lindenwood University Cultural Center Auditorium on March 26 to model for the Hoops ‘n’ Heels Fashion Show.